Below is an up-to-date list of our publications. Some of these are labelled open access and are accessible via the links. Others can be directly downloaded via this page. We are working on making the others available, in the meantime, if you’d like to read them and can’t get these via a library then email heathermendick@yahoo.co.uk for a copy. You can also access shorter, publicity-focused pieces here. OPEN ACCESS: Heather Mendick, Kim Allen and Laura Harvey (2016) Gender and the emergence of the ‘geek celebrity’ in young people’s celebrity talk in England, International Journal of Gender, Science and Technology. In this article, our two starting points are the growing policy focus on encouraging coding or computer programming as an aspiration for young people and the entrenched gendering of participation in computing. Drawing on group and individual interviews with 148 young people across England, we argue that the ‘geek celebrity’ is an emerging figure in young people’s imaginations, as an aspirational and inspirational ‘role model’. Using discursive psychological approaches, we analyse the ‘geek celebrity’ as a discursive formation looking at three key patterns of meanings, or repertoires, and tracking the ways these are gendered. First, the business repertoire positions the geek celebrity as a source of social innovation, impact and initiative. These traits are viewed universally positively by young people and are normatively masculine. Second, the celebrity repertoire positions the geek celebrity as having huge wealth and status. Through their philanthropic use of these, together with their associations with business and intelligence, geek celebrities are seen as deserving of their celebrity. Finally, the geek repertoire positions the geek celebrity as highly intelligent and socially awkward, traits that are aligned with masculinity culturally. This impacts on how young men and women speak about them. OPEN ACCESS: Kim Allen, Laura Harvey and Heather Mendick (2015) Justin Bieber Sounds Girlie': Young People’s Celebrity Talk and Contemporary Masculinities, Sociological Research Online. In this article, we explore the ways that contemporary young masculinities are performed and regulated through young people’s relationship with celebrity. We address the relative paucity of work on young men’s engagements with popular culture. Drawing on qualitative data from group interviews with 148 young people (aged 14-17) in England, we identify ‘celebrity talk’ as a site in which gender identities are governed, negotiated and resisted. Specifically we argue that celebrity as a space of imagination can bring to the study of masculinities a focus on their affective and collective mobilisation. Unpicking young men’s and women’s talk about Canadian pop star Justin Bieber and British boyband One Direction, we show how disgust and humour operate as discursive-affective practices which open up and close down certain meanings and identities. We conclude that while there have been shifts in the ways that masculinities are performed and regulated, hierarchies of masculinities anchored through hegemonic masculinity remain significant. OPEN ACCESS: Kim Allen, Heather Mendick, Laura Harvey and Aisha Ahmad (2015) Welfare Queens, Thrifty Housewives, and Do-It-All Mums: Celebrity motherhood and the cultural politics of austerity, Feminist Media Studies. In this paper, we consider how the cultural politics of austerity within Britain plays out on the celebrity maternal body. To analyse the symbolic function of mediated celebrity maternity within austerity, the paper draws on a textual analysis of three celebrity mothers: Kate Middleton, Kim Kardashian, and Beyoncé. We show how these celebrity mothers represent the folk devils and fantasy figures of the maternal under austerity—the thrifty, happy housewife, the benefits mum, and the do-it-all working mum—and attempt to unpick what cultural work they do in the context of austerity within Britain. OPEN ACCESS: Heather Mendick, Kim Allen and Laura Harvey (2015) Turning to the empirical audience: the desired but denied object of celebrity studies?, Celebrity Studies. In this forum article, we argue that the field of celebrity studies would be transformed if it put people’s everyday uses of celebrity at the heart of its work. OPEN ACCESS: Laura Harvey, Kim Allen and Heather Mendick (2015) Extraordinary acts and ordinary pleasures: Rhetorics of inequality in young people’s talk about celebrity, Discourse and Society (vol. 26 no. 4, pp. 428-44). In this article, we start from the problem of inequality raised by the existence of a class of celebrities with high levels of wealth and status. We analyse how young people make sense of these inequalities in their talk about celebrity. Specifically, we revisit Michael Billig’s Talking of the Royal Family, and his focus on rhetorical strategies that legitimate inequalities of money and power. As he argued, in comparing their lives with those of the rich and famous, young people are making sense of the massive disparity between the two, often replacing envy or anger with pleasure in being ‘ordinary’. We extend Billig’s work by looking at a larger class of public figures than royalty, including those with a more permeable border between ‘them’ and ‘us’. In so doing, we expand his categories and attend to the relationship between the gender of celebrities and contemporary rhetorics of inequality. DOWNLOAD HERE: Kim Allen and Heather Mendick (2015) Celebrity culture and young people’s aspirations a resource for careers education, Journal of the National Institute for Career Education and Counselling, issue 34, p.15-21: In this article we provide an overview of our findings on how young people’s celebrity talk relates to their own aspirations for the future. We suggest that this provides a resource for careers education work both to widen the careers young people feel are accessible to them and as a way of opening up a critical dialogue about the ongoing impact of inequality on education and employment opportunities. OPEN ACCESS: Heather Mendick, Kim Allen and Laura Harvey (2015) ‘We can Get Everything We Want if We Try Hard’: Young People, Celebrity, Hard Work, British Journal of Educational Studies. There’s a summary of this research by Laura McInerney. Drawing on 24 group interviews on celebrity with 148 students aged 14–17 across six schools, in this paper, we show that ‘hard work’ is valued by young people in England. We argue that we should not simply celebrate this investment in hard work. While it opens up successful subjectivities to previously excluded groups, it reproduces neoliberal meritocratic discourses and class and gender distinctions. DOWNLOAD HERE: Kim Allen, Laura Harvey and Heather Mendick (2014) Tom Daley’s Something I want to say. . . – examining contemporary celebrity, identity and sexuality, Media Education Journal, issue 55, p.19-22: In this article we look at the messages in Tom Daley’s 2013 ‘coming out’ video. We explore how this video opens up opportunities for media studies teachers to discuss the shifting role of celebrity in our lives and to ask critical questions about claims to authenticity and Britishness. Kim Allen. and Heather Mendick. (2016) Young people and celebrity: popular culture, identity play and mobilities. In: Evans, B. and Horton, J. (eds), ‘Play, Recreation, Health and Well Being, Volume 9’, in Skelton, T. (editor-in-chief) Geographies of Childhood and Young People. Singapore: Springer: This chapter engages social research to explore how celebrity functions within young people’s lives. Countering public debates which position celebrity simplistically as pushing young people predictably along ‘good’ or ‘bad’ pathways, the chapter offers a conceptualisation of celebrity as a resource within young people’s ‘identity play’ through which they make sense of different kinds of mobility. It begins with an overview of the key debates around ‘media effects’, before discussing a more recent body of literature on young people’s engagement with popular culture and celebrity. Extending this work, the chapter draws on examples from a recent research study on celebrity culture and young people in England to identify the ways in which celebrity is used by young people as they make sense of different kinds of mobilities and transitions, both imagined and ‘real’: age and maturity; gender and sexuality; and social status. 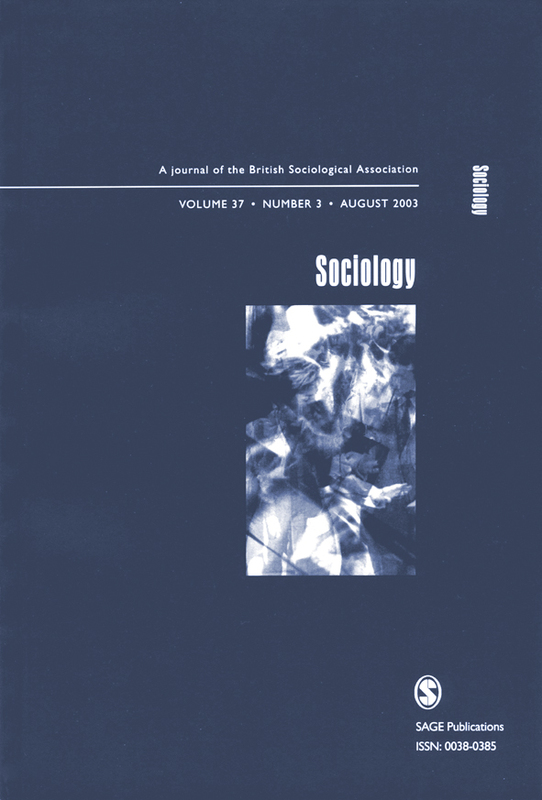 OPEN ACCESS: Heather Mendick (2014) Social Class, Gender and the Pace of Academic Life: What Kind of Solution is Slow? Forum: Qualitative Social Research: Heather’s starting point for this article is the increasing pace of academic life. It is part of a special section on how the Slow movement, which seeks to challenge our contemporary obsession with speed, is being taken up by many in order to intervene into “fast academia”. However, in this article, Heather suggests we should pause and question what kind of a solution this offers to the current crisis of speed. Working auto/biographically and using examples drawn from popular culture, she argues that Slow is both classed and gendered, re/producing wider patterns of inclusion and exclusion. Specifically, she suggests that Slow naturalises a particular relationship to self which requires not just stability of employment but an individualist way of being, constituting selves that calculate and invest in them-selves for the future. A paper about how young people talk about ‘geek celebrities’ including Bill Gates and Mark Zuckerberg. will be out soon in the International Journal of Gender, Science and Technology. In this article, we explore the question of how celebrity operates in young people’s everyday lives, thus contributing to the urgent need to address celebrity’s social function. Drawing on data from three studies in England on young people’s perspectives on their educational and work futures, we show how celebrity operates as a classed and gendered discursive device within young people’s identity work. We illustrate how young people draw upon class and gender distinctions that circulate within celebrity discourses (proper/improper, deserving/undeserving, talented/talentless and respectable/tacky) as they construct their own identities in relation to notions of work, aspiration and achievement. We argue that these distinctions operate as part of neoliberal demands to produce oneself as a ‘subject of value’. However, some participants produced readings that show ambivalence and even resistance to these dominant discourses. Young people’s responses to celebrity are shown to relate to their own class and gender position. In this article, we offer an empirical contribution to complement cultural analyses of social class-making in Reality Television (RTV). We draw on qualitative interviews with young people in England (aged 14–19). Analysing these discursively, we explore how young people take up, resist and rework discourses of ‘authenticity’ within RTV shows including The Apprentice and The X Factor. We conceptualise young people’s talk about RTV as performative, part of their ‘identity work’ through which they position themselves and others, and as embedded in wider processes of social distinction. We show that young people reject RTV contestants who are seen as too authentic in order to construct themselves as ordinary and thus normalise middle-classness. However, despite inviting audiences to make classed moral judgements, RTV provokes multiple readings. Specifically, some, mainly working-class, young people reject dominant discourses that pathologise working-class RTV contestants and instead value their lack of pretentiousness. Ahmad, A. (2011) British football: Where are the Muslim female footballers? Exploring the connections between gender, ethnicity and Islam, Soccer and Society, Vol. 12, Issue 3, 443-456. Ahmad, A. (2011) ‘British Muslim female experiences in football: Islam, identity and the hijab, in D. Burdsey (eds.) Race, Ethnicity and Football: Persisting Debates and Emergent Issues. London: Routledge. Allen, K. (2011) The ‘right’ kind of fame? Celebrity Culture and the structuring of young women’s fantasies of ‘success’, in Negra, D. and Holmes, S. (eds.) In the Limelight and Under the Microscope: Forms and Functions of Female Celebrity., Continuum. Allen, K. & Osgood, J. (2009) Motherhood as non-ambition? : young women negotiating maternal subjectivities , in Studies in the Maternal, Vol. 1, Issue 2. Archer, L., Hollingworth, S. & Mendick, H. (2010) Urban Youth and Schooling. Maidenhead: Open University Press. Harvey, L (2011) Intimate reflections: private diaries in qualitative research, Qualitative Research Vol. 11, Issue 6. Mendick, H. & Francis, B. (2012) Boffin and geek identities: abject or privileged?, Gender and Education, Vol. 24, Issue 1, 15-24. Moreau, M. & Mendick, H. (2012) Discourses of Women Scientists in Online Media: Towards New Gender Regimes? International Journal of Gender, Science and Technology, Vol. 4, Issue 1.